Around 200 area elementary and middle school students in grades one through six attended the 29th Annual Renick Spelling Bee this past Saturday morning (April 13, 2019) at Renick School District. Centralia R-VI was one of multiple schools represented. We had 4 students win in their grade levels. 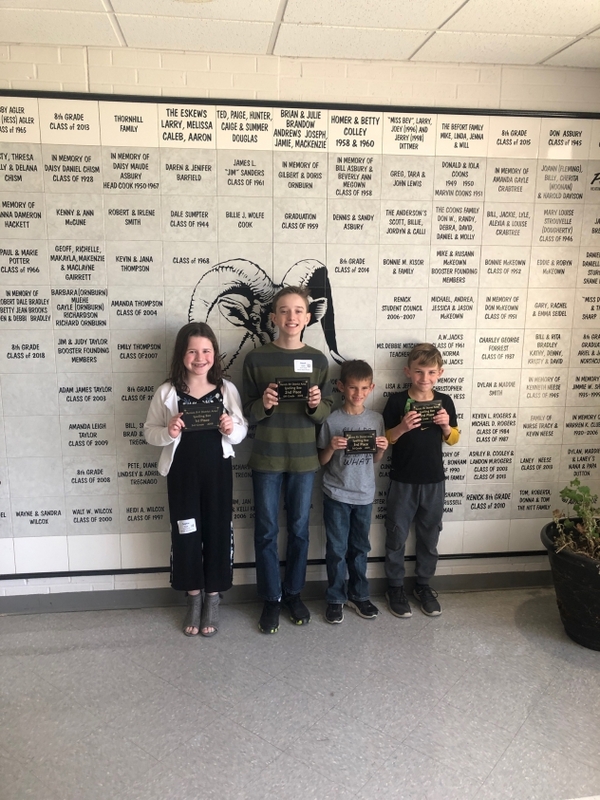 Please join us in congratulating, Grayson Forsee (3rd Place – 1st Grade), Sophie Daum (1st Place – 3rd Grade), Waylon Adkisson (3rd Place – 4th Grade) and Noah Davis (2nd Place – 6th Grade) on their wins.